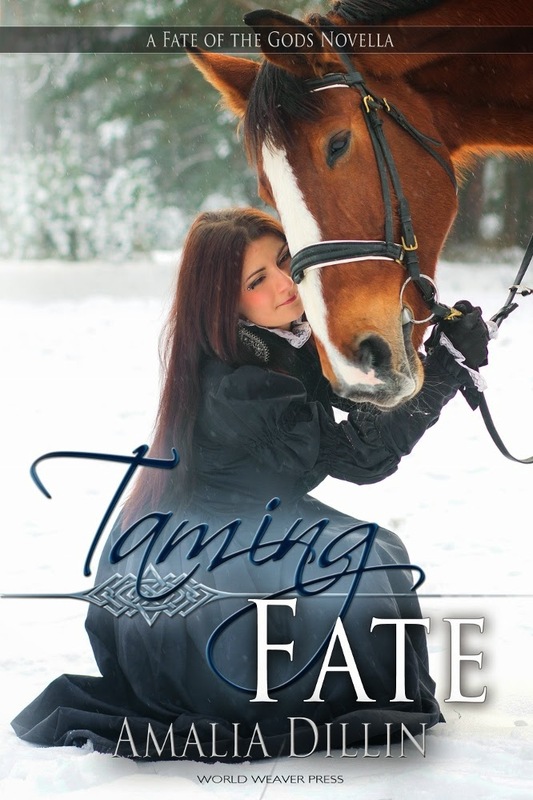 Good To Begin Well, Better To End Well: TAMING FATE is FREE for kindle This Weekend Only! If you've been waiting for a chance to get a taste of the Fate of the Gods series before you dive in -- this is your chance! TAMING FATE, my 15th century historical fantasy novella is FREE this weekend for Kindle! She blinked and the angry mob became a host of excited faces, hoping to catch her eye. Some of the tension eased, her stomach unknotting. She gave a coin to the boy belonging to the woman who had called to her, and pressed a kiss to the child’s forehead. Beside her, Ryam did much the same, touching a little girl’s head, squeezing a boy’s shoulder, reassuring a grief-stricken widow and her twin daughters that they would not lose their farm if they could not make the rents. He might have believed they had come to see her, but a word from their Marquis, who knew them each by name, was the reason they left with their heads held higher and shoulders unbowed. Their concerns had been heard, their fears eased. She began to wonder if they had not wished to see her, only to reassure themselves that marriage had not changed their lord. She glanced at Ryam, but they’d been separated by so many people, all she could find of him was his blue and gold sleeve. If the boy was truly that sick, the family had probably waited too long for what passed for healing now to save him. She pressed her lips together, crouching down before the small, ash-haired girl, taking the hand held out to her. And while you're over yonder on Amazon, don't forget that HELEN OF SPARTA is a kindle first title this month! You can grab the ebook NOW before it's official release on April 1st! And/Or! There's a fabulous Goodreads giveaway hosted by my publisher in which you could win one of TWENTY paperback copies of HELEN OF SPARTA! As always, if you enjoy reading ANY of my books, please do consider writing a review on Amazon/Goodreads, so that other people can find and enjoy them too!